The Signpipers Ocean package Fabric Back Wall with a 6ft Table Cover is a great starter kit. If you are going to your first trade show and have limited funds to invest this option is a perfect fit for you. 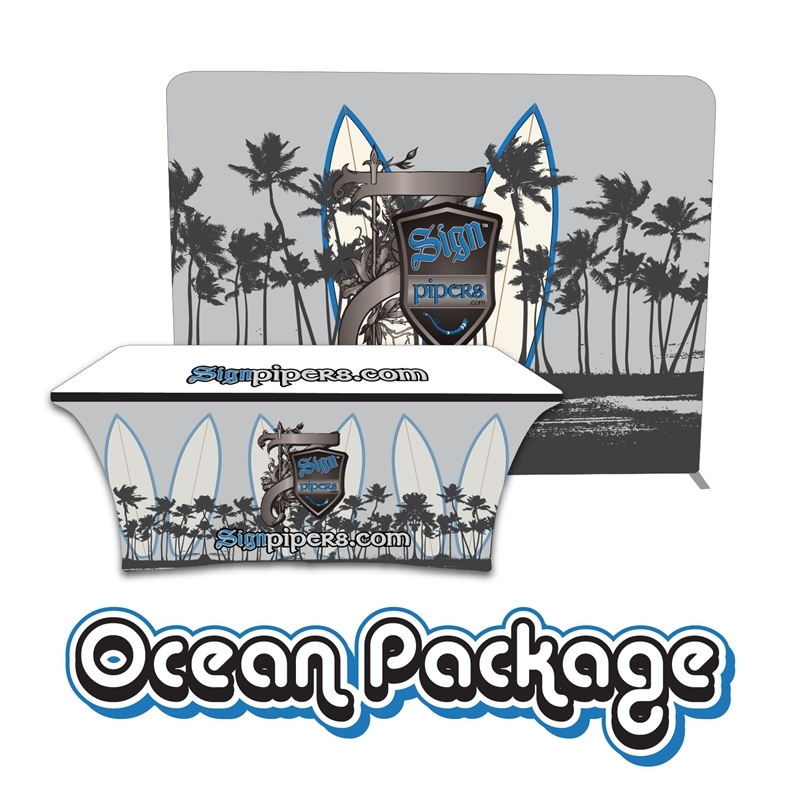 The Fabric Back Wall with a 6ft Table Cover can be customized with your logo or artwork. Many of our customers remark at how lightweight the Fabric Back Wall with a 6ft Table Cover is. The lightweight Fabric Back Wall with a 6ft Table Cover can be setup or broken down by one person. If your company is in need of the Fabric Back Wall with a 6ft Table Cover in a hurry we can be sure to meet your shipping demands. When submitting your artwork for your custom Fabric Back Wall with a 6ft Table Cover please include the highest resolution artwork that you have. In many cases our customers provide us with the proper resolution artwork so that printing goes smoothly, in rare instances where the artwork is found lacking we can help. SIgnpipers has a fullservice design staff that can fix or create a new logo for you. We look forward to adding you to our long list of happy Fabric Back Wall with a 6ft Table Cover customers. For the past decade Signpipers has strived to be the largest provider of Fabric Back Wall with a 6ft Table Cover in North America. 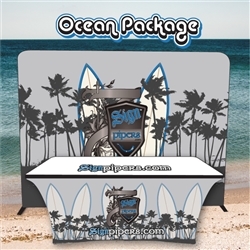 SIgnpipers is committed to giving you a one of a kind Fabric Back Wall with a 6ft Table Cover purchasing experience. If you still have questions or concerns about your Fabric Back Wall with a 6ft Table Cover feel free to contact us. One of our expert Fabric Back Wall with a 6ft Table Cover customer service representatives will answer any of your questions.